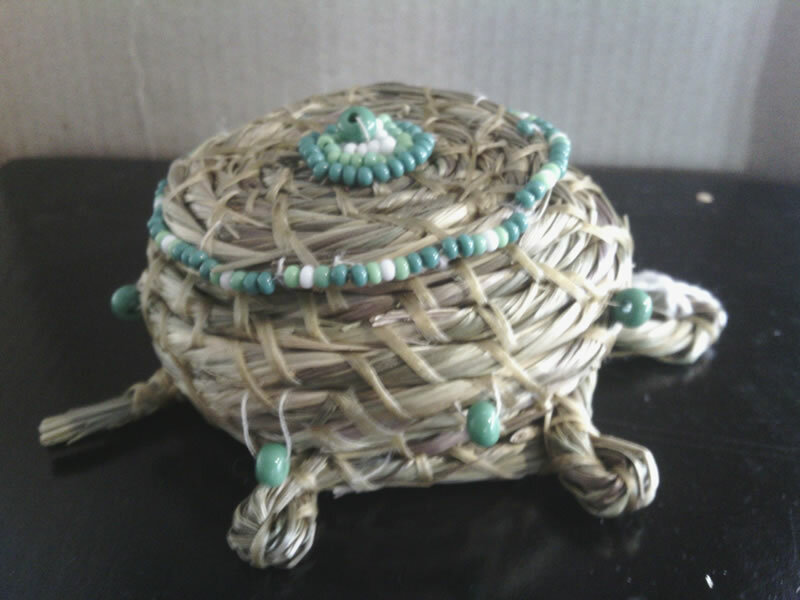 Karen Poitra is an enrolled member of the Turtle Mountain Band of Chippewa Indians. 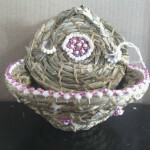 She has been working with diamond willow, and birch bark for many years, creating some unique pieces. 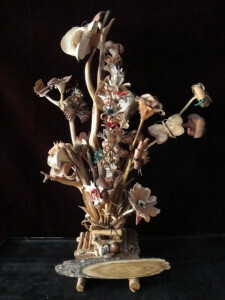 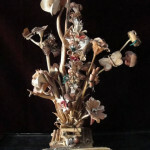 With the birch bark she carves out delicate flowers, butterflies, birds and a wide assortment of object to adorn her floral arrangements. 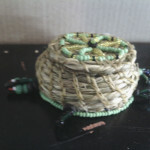 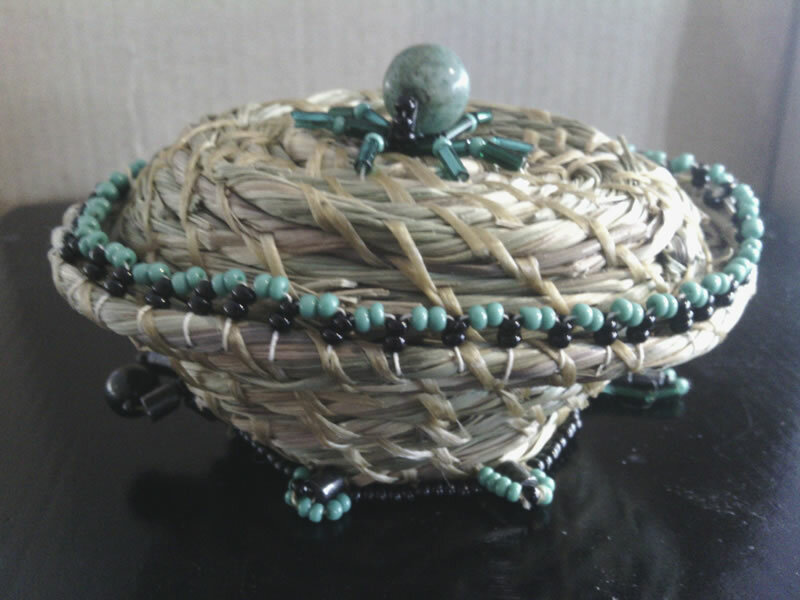 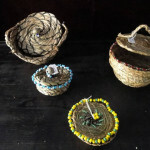 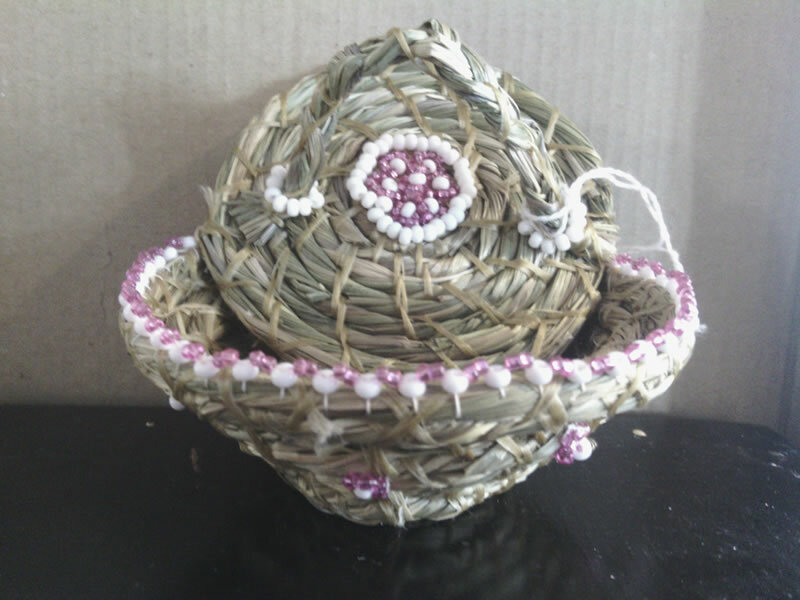 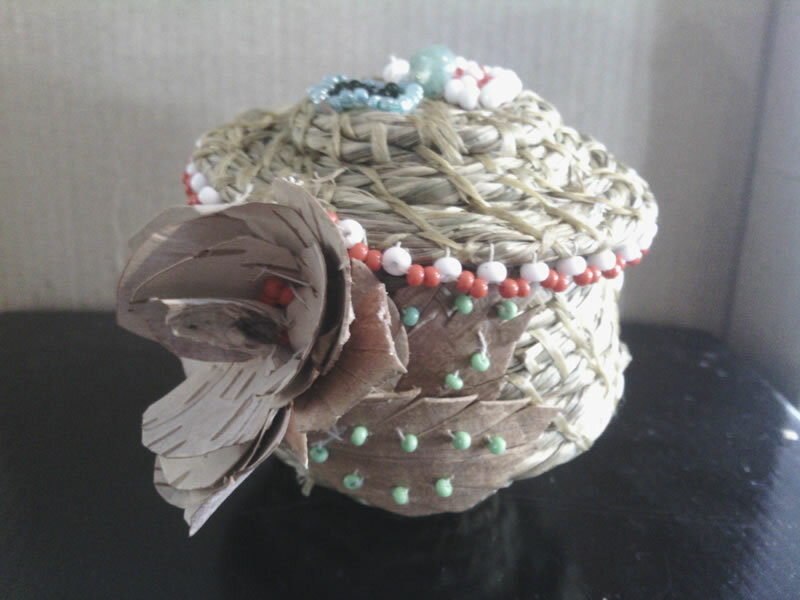 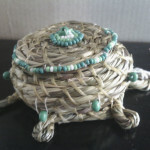 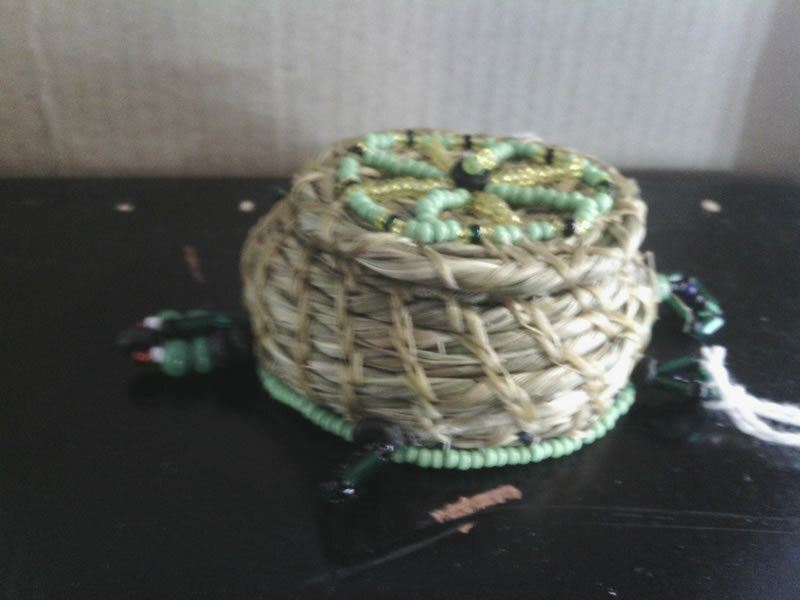 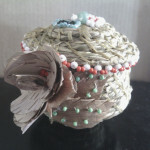 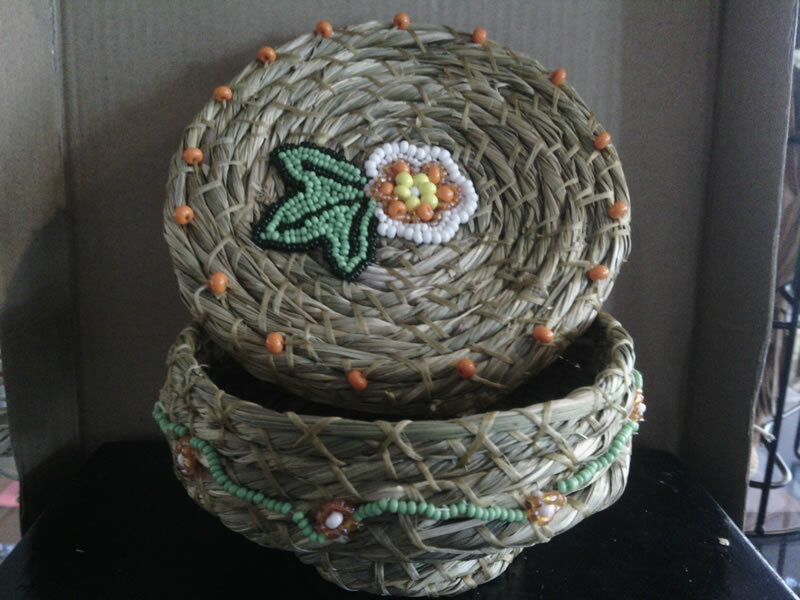 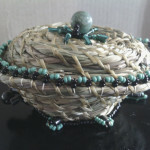 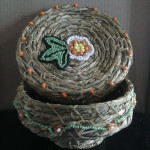 Most recently she has taught her self the art of working with sweet grass, creating small baskets. 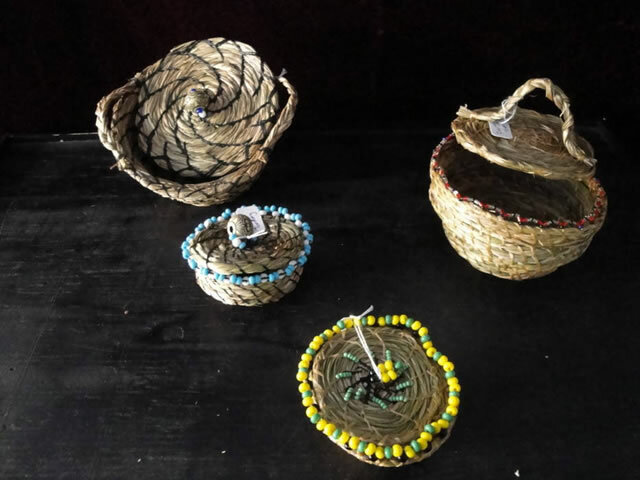 Creating baskets using sweet grass is something that not many people are doing, so it is a truly wonderful to see Karen bringing the art form back.